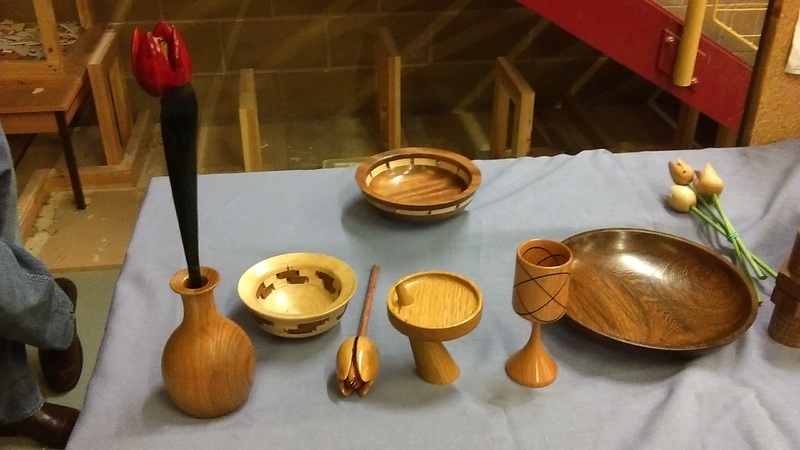 Our meet in February was a hands-on day, with 2 lathes in operation and 2 grinding stations. 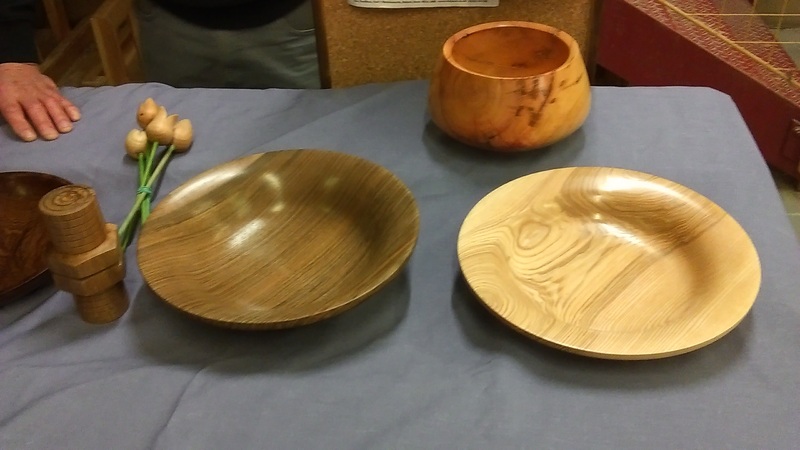 On one lathe, Mick Littlehales demonstrated turning a chunky bowl/dish from a piece of ash, with a mortice (to hold the piece on the chuck in expansion mode) and a variety of decorations around the rim. The other lathe was used by our chairmain, Roger, to give some newcomers a first chance to try their hand with a roughing gouge, bowl gouge and spindle gouge. One of the sharpening stations was operated by Wolfgang, helping a few members getting their tools back into shape. And, of course, we also had a display table with quite a nice array of turned items.